Whether as an act, MC or headliner Adam manages to charm every crowd. His stand-up performances are peppered with spontaneous wit and schizophrenic leaps into other personalities. A lively and visual comic with well-crafted routines that consistently induce hard and fast laughter. 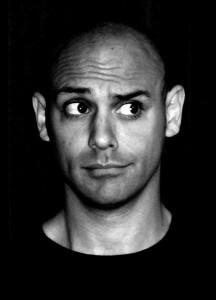 Adam has supported some of the biggest names in comedy including Marc Maron, TJ Miller, Jim Gaffigan, Russell Howard and Jack Dee on their European tours. Countries: Adam has performed in the UK, the Netherlands, Belgium, France, USA, Monaco, Switzerland, Malta, Italy, Germany, Portugal, Luxembourg, Poland, Hungary, Singapore, Malaysia, Brunei, Indonesia, South Africa, Slovenia, Norway, Sweden, Denmark, Finland, Estonia, Latvia, Russia, Spain, Turkey and Curacao. Festivals where Adam has performed include: the Edinburgh Fringe, Glastonbury Festival, Utrecht International Comedy Festival, Rotterdam International Comedy Festival, Prague Fringe, Luxembourg Comedy Festival, Cologne Comedy Festival, Just for Laughs Brussels.